I'm so excited to be part of this blog hop to include some tricks and treats for you all! I hope that you enjoy hoppin' through all the blogs to find yourself a trick and a treat! Enjoy! First up, a trick! For some of you, this may be a no-brainer. However, for me... It's a lifesaver and I can't believe I never thought of this before! I know you all are familiar with clip charts. Some of you may even be familiar with individual clip charts. 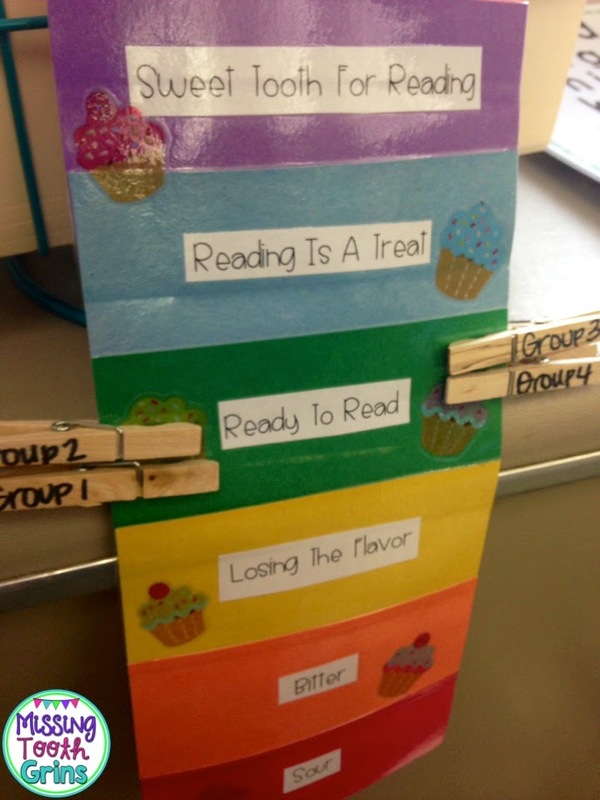 Well, I know I absolutely love our clip chart in my classroom. Well, I was having some difficulties with getting my small groups to follow directions during our Daily 5 rotations. During this time, I meet with a guided reading groups and the other small groups are dispersed around the classroom in their rotations. I'm sure you've all experienced your class getting a little rowdy or loud during this time. A small group clip chart. 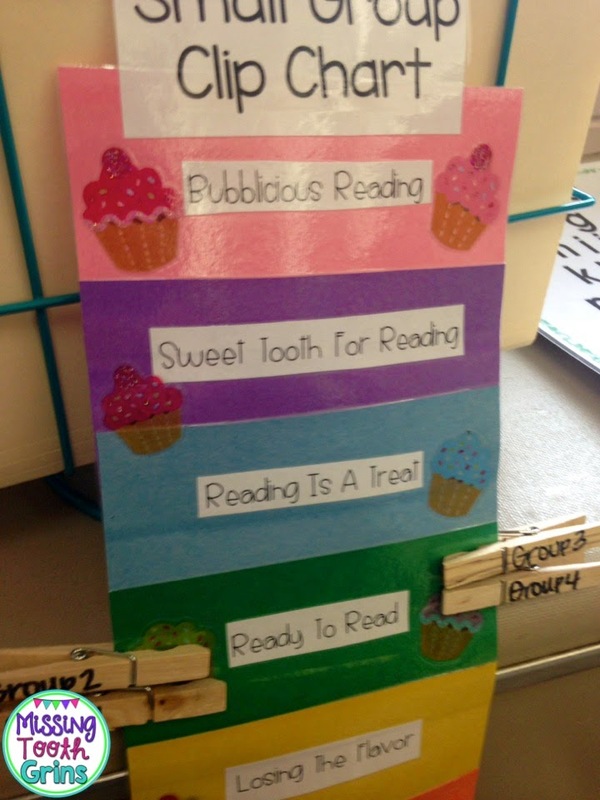 This little chart is clipped right behind my guided reading table. Whenever I want to clip a group up or down, all I have to do is spin right around to do so. It does not interfere with my teaching in my small group either. Huge bonus, right? I whipped up this bad boy in probably ten minutes. I just cut out construction paper, glued on my labels, laminated, and BOOM there it is! 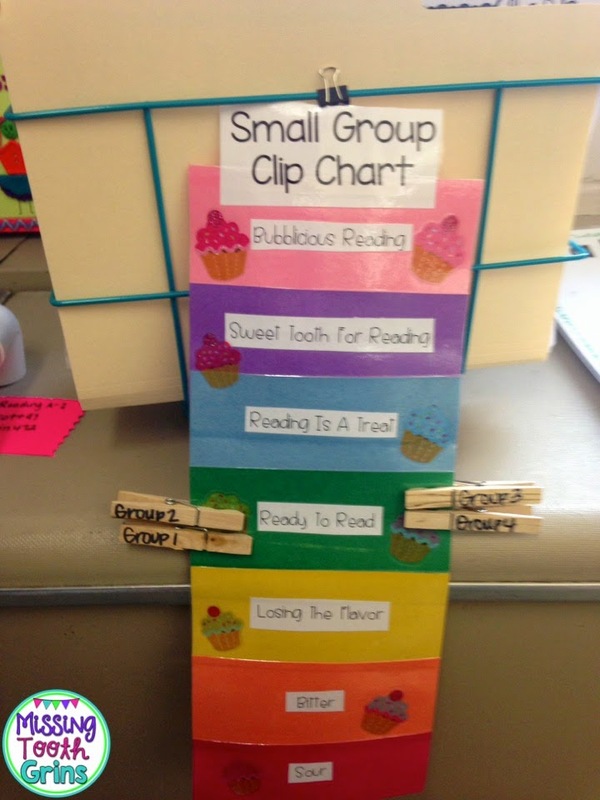 The words on the small group clip chart match my classroom clip chart. Now, what do I do when Daily 5 is over? I tell the class how they did. I tell them what I liked about our rotations that day and what I didn't like. I then ask the class how they feel they did. The group highest on the clip chart gets to move their actual clips up on our classroom chart. If a group is below green, they need to move their individual clips down. Then, we do a Kagan cheer for the group that clipped the highest. This little clip chart has seriously saved my Daily 5 time. It has made the time much more meaningful and manageable. 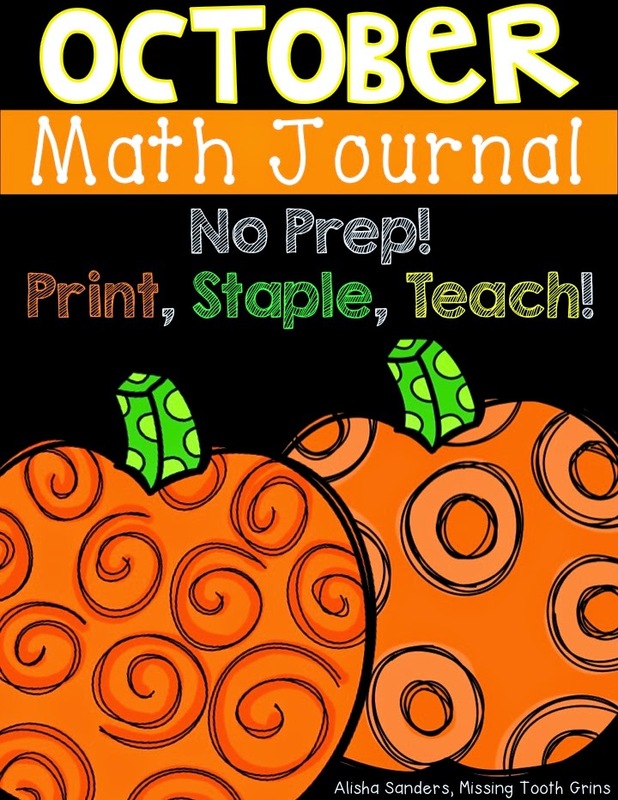 You can pick up this Halloween-themed freebie in my TPT store! You can also pick up these items in my store for 20% off the entire weekend! What a great freebie - thank you! 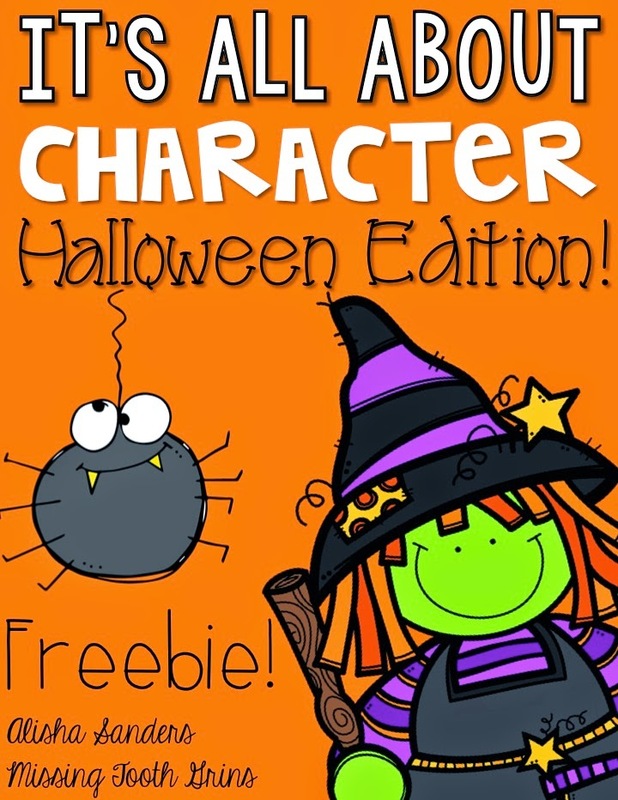 LOVE your character freebie Halloween style! 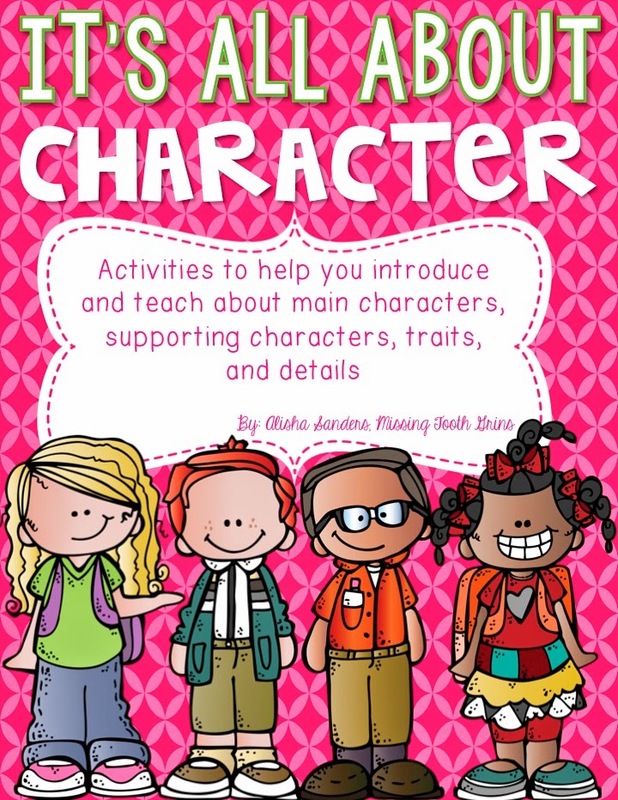 My daughter is in 2nd grade and will LOVE this! Thanks for sharing. I love your idea! My groups usually behave pretty well, but there is always that one group that just can't seem to get with the program. I think I will have to try this! Excellent idea for group work time- I seriously need to add this to my lab time. I have seven groups all working at the same time! Thanks for sharing this and the freebie!